UVA combines the characteristics of a small industrial city with those of a multidisciplinary research facility. 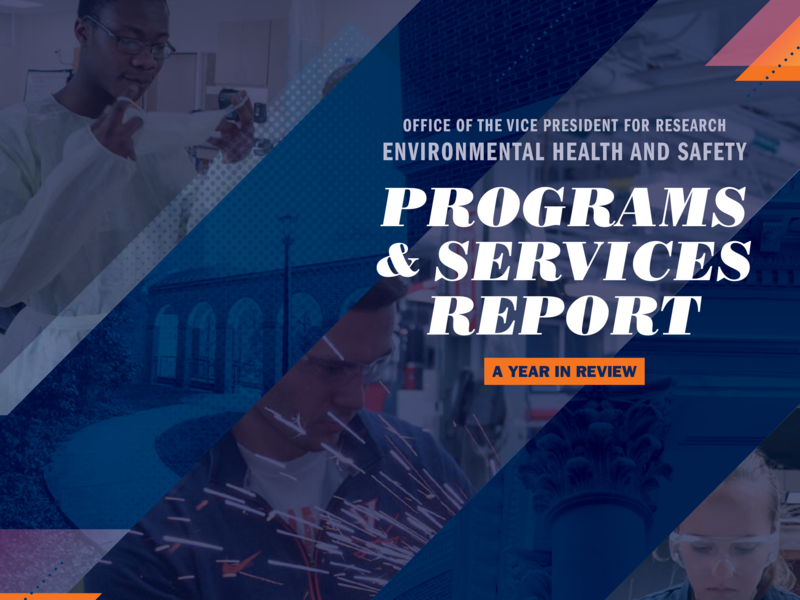 In this complex and diverse environment, Environmental Health & Safety is UVA’s primary resource for providing expertise and advisory services for assessing the daily hazards encountered in the work place and the research laboratory. These hazards may include physical hazards such as heat, noise and non-ionizing radiation in the form of lasers or chemical hazards encountered during laboratory research, maintenance or production activities. Dust and fume generating activities, such as sanding and cutting wood, welding, and masonry work may also create hazardous levels of inhalable particulates. Indoor Air Quality (IAQ) & Odors in the Workplace - At times complaints arise when occupants notice a change in their working environment and questions of "air quality" arise. When a concern is raised, an indoor air quality investigation is conducted, which initially examines the current conditions that occupants are experiencing. The investigation includes a walk-through survey, interviews with occupants and consultation with facilities management on the operation of the HVAC (heating, ventilation and air conditioning) system. What to do in the event of an unidentified odor in the workplace? In the event of an unexpected and/or unusual odor, the source of the odor should be identified as soon as possible. Begin by asking other room or building occupants about activities or equipment that could be the source. If the smell is likened to diesel exhaust, familiarize yourself with the fresh air intakes for the building to determine if an idling vehicle could be the cause. Dry sink traps are often the cause of a "sewer-like" smell and can be prevented by occasionally running water down them. Notify your supervisor of the problem and call the Department of the Physical Plant (434-924-2267, Medical Center OR 434-924-1777, Academic) and report the complaint or concern and request a follow-up from HSPP personnel on the nature of the odor by indicating your building and room number and providing a contact name and number. Call Environmental Health & Safety (434-982-4911) and repeat the information. Use the "Workplace Complaint Log" to record your complaints and document who was contacted. It will assist EHS when investigating the specific nature of an event. You may be asked to fax your log to the Industrial Hygienist (434-982-4915). More information - Indoor air quality problems arise in non-industrial buildings when there is an inadequate amount of clean, outdoor air being provided for the amount of air contaminants present in that space. Air contaminants sources can be biological in nature (mold, dust mites and other allergens), or chemical (formaldehyde, carbon monoxide) and can originate either inside or outside a building. Physical factors (temperature and relative humidity) can contribute to perceptions of poor air quality as well. Air sampling is rarely undertaken, as often, adjustments to the HVAC system or better housekeeping are all that is needed. While the University aims to provide a clean, healthy environment where the majority of people work at their highest levels of productivity, it cannot provide complete comfort to 100% of the population due to individual sensitivities. If you are planning to initiate any work process or research project that may generate or create such hazards, consult with the UVA‘s Air & Noise Monitoring Staff. What is Air Monitoring (Industrial Hygiene)? Air Monitoring (Industrial Hygiene) is the science/art of recognizing, evaluating, and controlling environmental factors or stresses at the work place which may cause illness, lack of well being, or discomfort among workers or among the community as a whole. As industrial hygienists, we assist in developing procedures and controls (engineering controls and personal protective equipment such as respirators) that minimize the adverse impact of working with hazardous substances. If you work with chemicals in a research laboratory, or question your exposure to hazardous substances while conducting maintenance, please do not hesitate to contact us for a work site assessment. We will assist in determining the nature and amount of exposure and compare this information to Occupational Safety and Health Administration (OSHA) regulatory limits and more stringent recommended standards from other recognized organizations. If exposures approach or exceed published limits, we will then recommend ameliorative actions to reduce exposures by way of engineering controls, changes in work procedures, or (as a last resort) personal protective equipment. 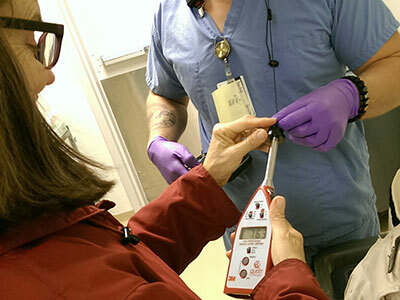 Exposure assessments can also be conducted on physical stressors, such as noise and heat. Local exhaust ventilation is the primary method used to control inhalation exposures to hazardous substances. The exhaust system consists of a hood, the associated duct work, and a fan. Types of local exhaust ventilation system include fume hoods, vented enclosures for storing large equipment or highly toxic chemicals, and flexible ducts or drops for capturing contaminants near the point of release. The chemical fume hood is the most common local exhaust ventilation system at UVA. When properly operated and correctly used, a chemical fume hood can control gases, dusts, mists, and vapors released by volatile liquids. Noise, or unwanted sound, can be present in a variety of work locations around the university in academic departments, the hospital, intramural sports, parking & transportation garages and other areas. It is generated as a by-product of research activities, construction projects, maintenance work and the operation of support activities such as industrial dishwashing. 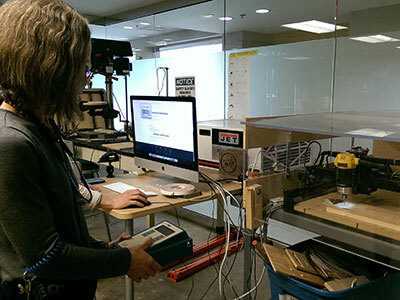 It is most often generated by a piece of equipment or tools. Exposure to high levels of noise can cause hearing loss. The extent of damage depends primarily on the intensity of the noise and the duration of the exposure. 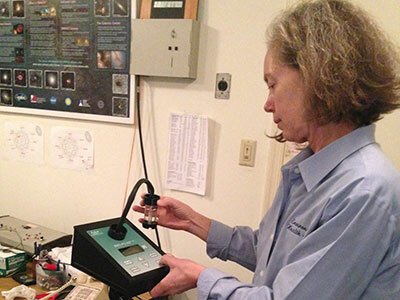 UVA’s Office of Environmental Health and Safety (EHS) has designed a Hearing Conservation Program (HCP) to protect the hearing of those staff and faculty with significant occupational noise exposures. Elements of this program include: exposure monitoring, audiometric testing, engineering and administrative controls, hearing protection devices (ear muffs, ear plugs), training, recordkeeping, and program evaluation. For more information contact EHS at 434-982-4911.